Bus > Trial Traveler Wanted!! for FREE or at special Discount! Free registration for Trial Traveler membership. Application for tours below are limited for membership. Register now! Latest trial tours - Travel at special price!! "JBL PASS" 7days & 14days pass are now at 50% Off only for Trial Travelers! 1. 7days pass 20,000yen ->10,000yen! 2. 14days pass 28,000yen ->14,000yen! 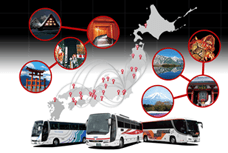 A highway bus unlimited ride pass "JBL PASS" are now at 50% Off only for Trial Travelers! This pass enables to travel around Japan for 7 or 14 days. You can start your trip whenever and wherever you like until Feb 2, 2018. *Those who can ride more than 3 routes. *Those who can answer our survey after traveling. *Those who can post on your SNS account. *Those who can send us a report on how to use the pass. Push a button below and make a request booking. Please make a request booking. The result email will be delivered on or after January 4. What's Trial Traveler of Willer Travel? For tourists from overseas, it is always difficult to collect information. We believe the more they know Japan, the more they can enjoy traveling in Japan. It must be you who can tell how the trip in Japan is like! Travelers as below are welcomed! Enter required information and be a member of trial travelers. Check Latest trial tours and choose a course. Selected travelers will receive an email. Check the details and send confirmation email to participate. Enjoy the trial tour! After participating, submit a review, photos or movies. We started our trip from Shinjuku station at 7:40am. Our guide Taka san introduced himself and explained our schedule. * We will inform trial-travel tour to only persons who have registrated. Log in and go to your My page. 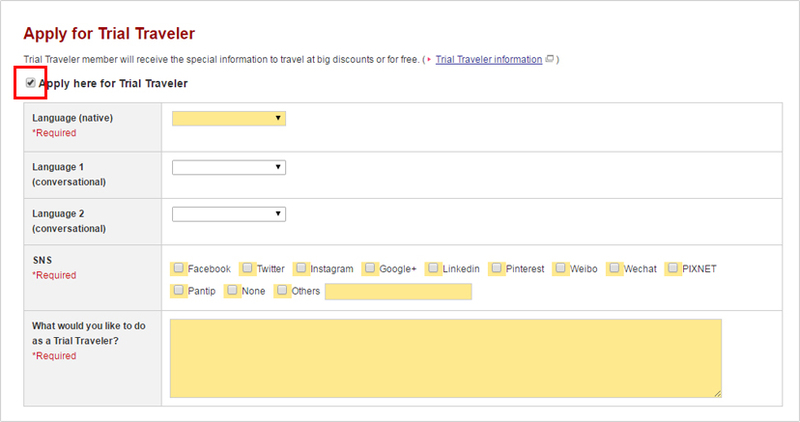 Check the box of "Trial Traveler" and enter required information. Please direct any questions or collaboration with Trial Traveler Project to the address below.